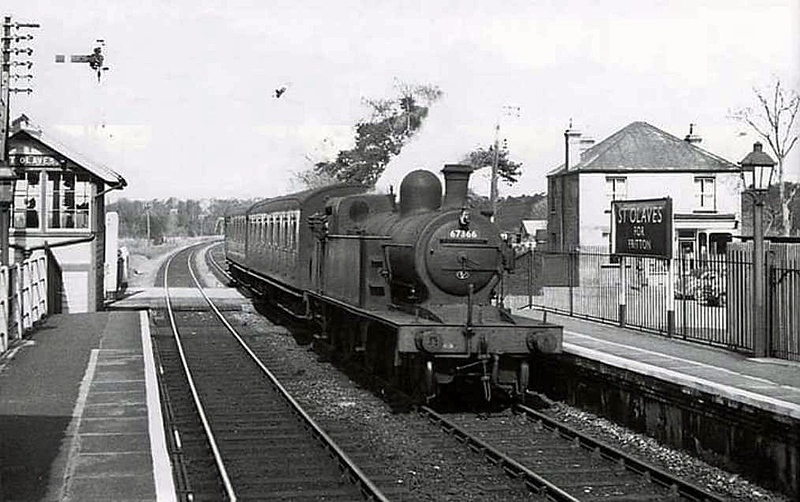 A class C12 No:-67366 arrives at St Olaves for Fritton on a local Yarmouth South Town to Beccles working c 1954. Today there is no trace of the station although a station nameboard existed on a local garage wall. Not sure if it is still there. Photographer unknown.